We are an animal adoption center located in Crown Point, Indiana under the direction of the Lake County Sheriff's Department. 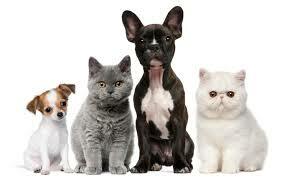 We are a no-kill facility of adoptable pets. We also send pets to rescues when our facility is over crowded. We not only strive to maintain a healthy, safe and comfortable atmosphere for any animal that stays in our facility, but we also do our best to find good, loving homes for all our animals. 97.50% Adoption Rate "We are a no-kill facility of adoptable pets!" We take in over 800 animals annually and place 780 of these animals in HOMES or RESCUES. Our shelter actively uses and recruits volunteers to assist in the everyday functions of the shelter. At our shelter, volunteers can walk dogs and play with cats. If you are interested in becoming a volunteer you must fill out an application, and submit to a background check. For more information contact Animal Control at 219-769-7016.